James Wirth and crew are making a defiant return to Sydney’s inner west, securing a tired Duke in Enmore with plans for a major repositioning. 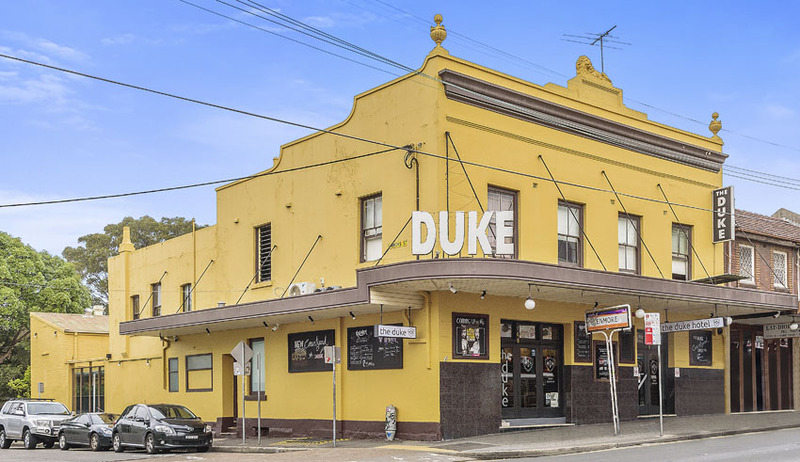 The Duke is a classic local, recently offering a contracted pub-style menu and selection of mainstream and craft beers, largely servicing the patronage of the Enmore Theatre next door. It holds a 2am licence and 13 EGMs crammed in a gaming room at the front of the pub. For the past half-dozen years it has been operated by Mick Roche, who listed the leasehold interest last year, feeling considerable need for a change of scenery. “My wife and I plan to go overseas for about three months before we get back into the hotel market somewhere,” he offered at the time. But a development clause in the lease meant possible eviction with as little as three months’ notice and the business languished on the market, until Roche was able to negotiate with the landlord to lift the prohibitive clause. Having sold his Drink n’ Dine portfolio to Dixon Group (now Aus Venue Co) in early 2016, Wirth has worked in consultancy and continued to seek the right re-entry to pub operations. He looked at The Duke several times, each time seeing more of what he could do with the place. Once the demolition clause was removed, Wirth says it “was kind of game on” and he banded together partners to sign on for the lease, with 20 years remaining, including options. The partnership is Wirth with Joel Amos from Drinks Group, Mike Delany, fellow founder of Drink n Dine, and Chris Deadman, licensee from the old group’s Abercrombie Hotel and Oxford Tavern. 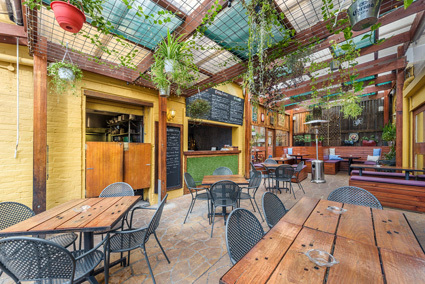 “It’s kind of the last pub that hasn’t been flipped around in all of Newtown and Enmore,” offers Wirth. The business has reported just over $30k weekly revenue, the sale representing a return of three-times earnings, and with considerable upside in the kind of food offering the new owners will provide. The partners also plan to activate an approved DA to move the gaming room to the side of the building that will both provide more space in the front bar and facilitate a proper smoking solution for the EGM area. The modest 430sqm block is located amongst some of the most dynamic hospitality initiatives in inner Sydney, as seen in Justin Hemmes’ work at Queens Hotel, just 80 metres west, Solotel’s increasing presence in King St, and Ray Reilly’s plans for the Sydney Park Hotel, about a kilometre south. Sale was through HTL Property’s Blake Edwards and Daniel Dragicevich, who report interest was high. Wirth & co will capitalise on the precinct with a new food offering driven by chef Toby Wilson, formerly of Ghostboy Cantina and Bad Hombres. Taking possession this week, they are wasting no time waiting, beginning remodelling immediately. It was decided the best approach would be a mix of minimalist trade without food before a brief shut-down, with a grand reopening slated before Christmas bringing a new Duke that can drink and dine, heralding a return to the inner west for the partners. “We’re basically trading and renovating for five weeks, then closed for two weeks, and reopen with food and the whole shebang in December.